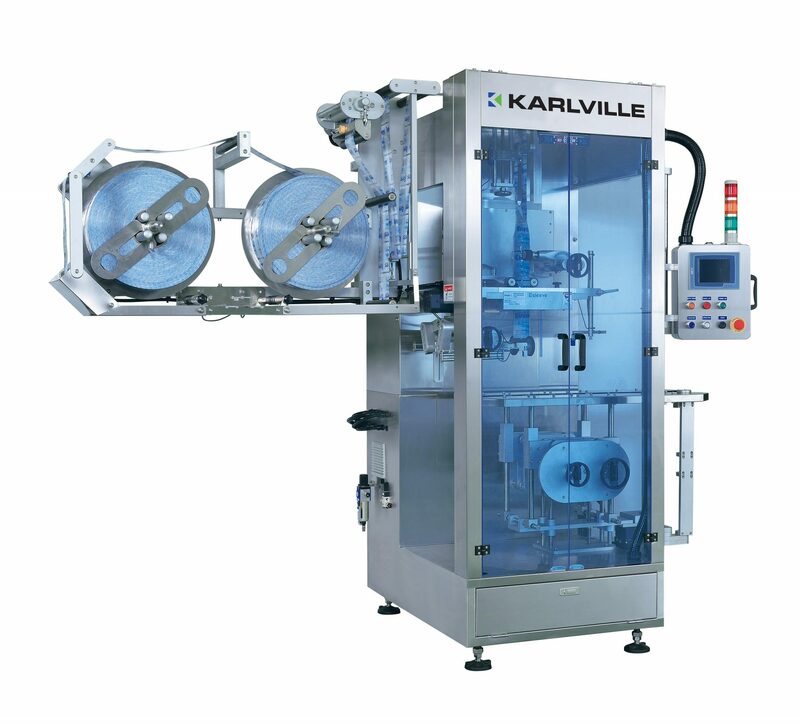 The Karlville Automatic shrink sleeve Applicator SLEEVEPRO line integrates a range of models to apply shrink sleeves on most container shapes, materials (glass, plastic, metal), conditions (filled or empty) at speeds that range from 50 to 800 bpm. 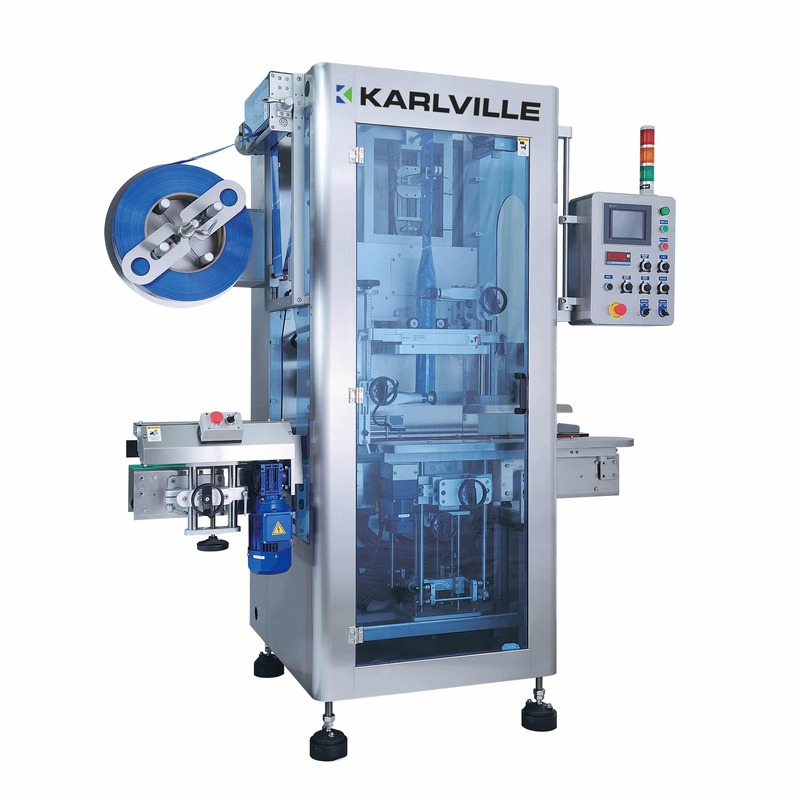 Karlville’s shrink sleeve applicator line can be configured to apply full body shrink sleeves, partial labels or combined shrink sleeve labels. Robust, reliable and quick changeovers from one format to another. The SP150, new automatic applicator has been designed mainly for small to medium companies who require reliable and flexible solutions, but that are very careful to find a competitive balance between efficiency and cost. Max Speed-Full Body 200/300 CPM. The SP300 fits low speed applications. 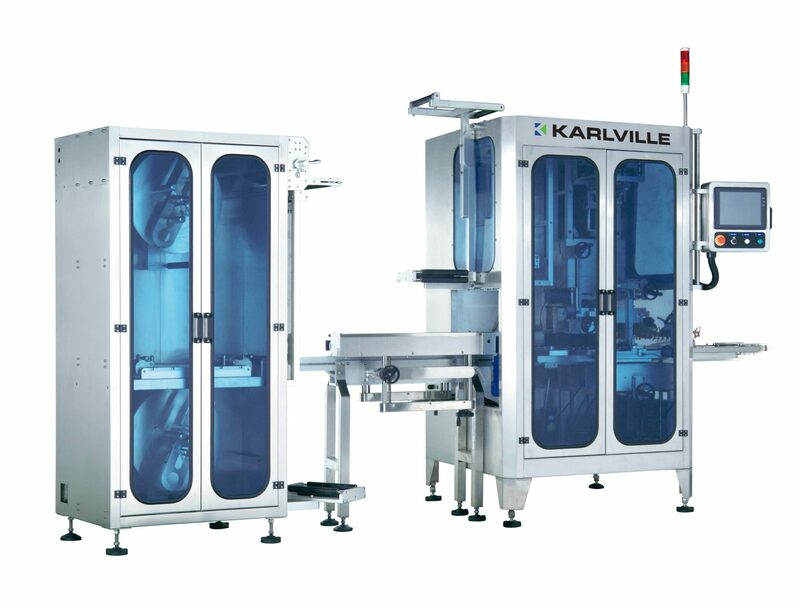 It processes about 300 containers per minute- and can be used for flexible packaging in several industries, such as beverage, pharmaceutical and cosmetics, sauces and dressings. Max Speed - Full Body 300/400 CPM. The SP400 fits medium to high speed applications. 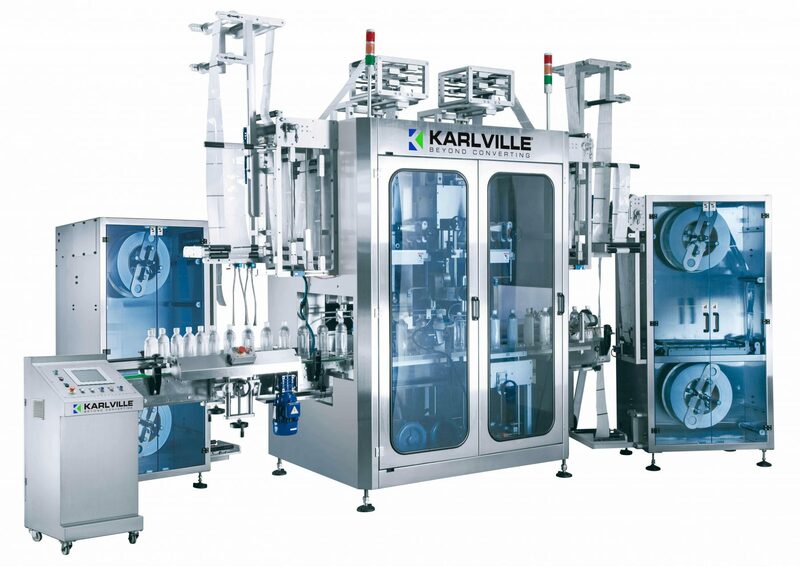 It processes about 400 containers per minute- and can be used for flexible packaging in several industries, such as beverage, pharmaceutical and cosmetics, sauces and dressings. Max Speed-Full Body 600 BPM. The SP600 fits medium to high speed applications. 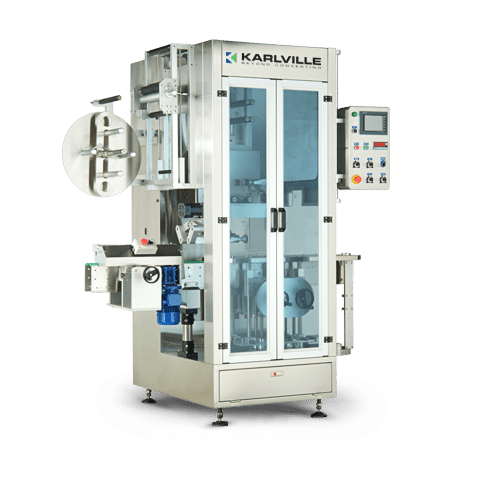 It processes about 600 containers per minute- and can be used for flexible packaging in several industries, such as beverage, pharmaceutical and cosmetics, sauces and dressings. The SP800 fits large speed applications. It processes about 800 containers per minute- and can be used for flexible packaging in several industries, such as beverage, pharmaceutical and cosmetics, sauces and dressings.